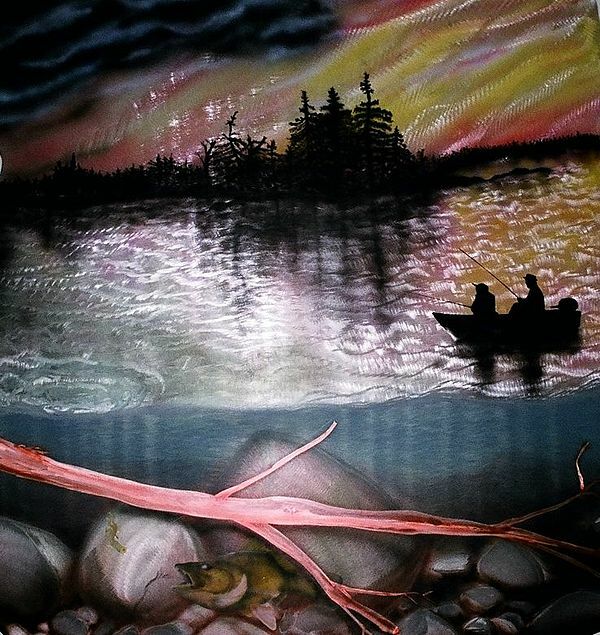 Fishing On Nine Mile Lake is a mixed media by Chris Macri which was uploaded on January 15th, 2010. Sunrise on Nine Mile Lake. The pickerel are hungry- life is good.In the under water section, the tree and rocks are disc ground onto the aluminum. Very interesting image. Lots of elements working together nicely.